A witch has a problem. Can the Thornheart witches help and will they solve the kissing curse and figure out their own tangled love lives? Ivy and Bryony Thornheart are no strangers to magic, light and dark. When the talented witches come up against a powerful kissing curse, they have to fight to save their client, Agatha Graytooth, from repelling every man she kisses. Human lives are put at risk by this curse, and the witches have to race to save the feeble red bloods and break the curse. 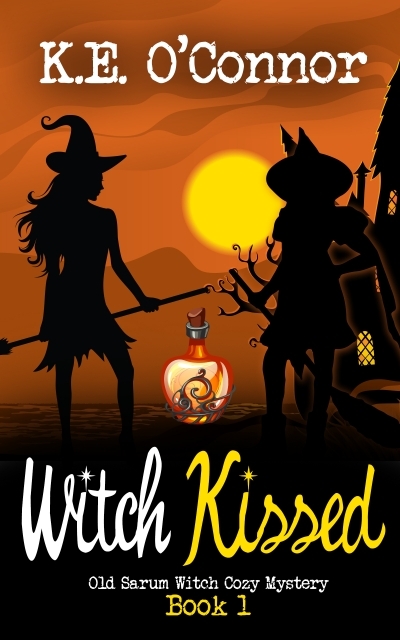 Witched Kissed is the first in an exciting cozy paranormal mystery in the Old Sarum series. With enchanting settings, characters you will fall in love with, and exciting magic filled action. Join the Thornheart sisters at the Love Cauldron and follow them in their witch filled adventures.